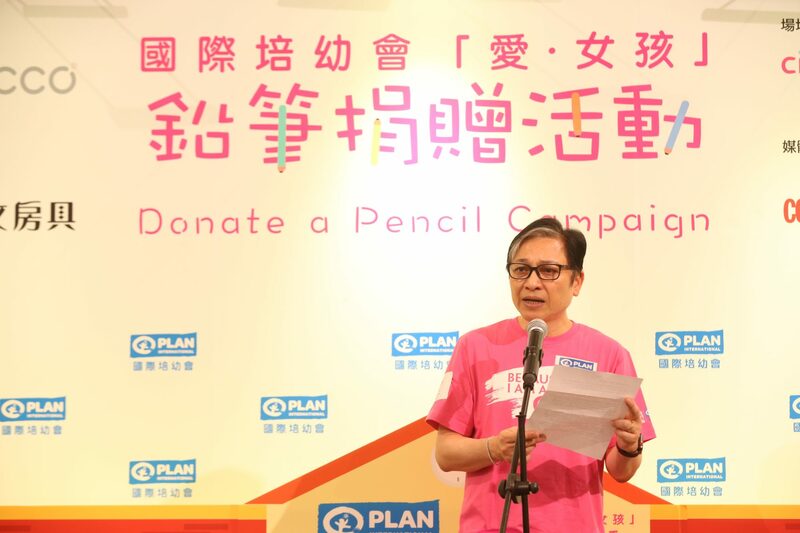 The 6th “Because I Am a Girl– Donate a Pencil” campaign was successfully held from 6 Oct – 21 Oct at Telford Plaza 2, Kowloon Bay, Lee Theatre, Causeway Bay, Maritime Square, Tsing Yi, City Walk 2, Tsuen Wan, PopCorn, Tseung Kwan O and TMT Plaza, Tuen Mun. Thanks to the public’s generous support, 23,270 pencils were collected and over HK$360,000 was raised. The pencils will be sent to children in Cambodia and Hong Kong via Silver Stationery Shop, and the funds will be used to support our school building project and anti-child marriage project in Cambodia. The Opening Ceremony of the event was held at City Walk 2 on 11 Oct. Prof. Royce Yuen, JP, Board Deputy Chairman of Plan International Hong Kong, Mr. Ralph Szeto, Board Member of Plan International Hong Kong, Dr. Kanie Siu, Chief Executive Officer of Plan International Hong Kong, Ms. Stephy Tang and Ms. Lisa Cheng, Honorary Ambassador and Leander Lau, Ambassador attended and presided over the ceremony by placing the pencil props into a light box. The “school door” on the lightbox then opened and showed a photo of girls studying in a classroom, signifying our support for girls’ education. Guests presided over the ceremony by placing the pencil props into a light box. Prof. Royce Yuen expressed his gratitude for public support. The guests shared their journey to developing countries and views on child marriage. Dr. Kanie Siu told the stories of three child brides she met during her recent visit to Cambodia. Ms Stephy Tang (Right) and Leander Lau (Left) shared their charity visit to Nepal and Cambodia respectively. Ms. Cindy Yeung (Left) and Ms. Lisa Cheng (Right) discussed the issue of child marriage. We are also grateful to receive support from the following corporates, in the form of fundraising, charity sale and volunteering. Twelve Constellation International Holdings Ltd.